Motion Photos debuted alongside the Pixel 2 and Pixel 2 XL as a direct competitor to Apple's Live Photos. These Motion Photos are saved by default whenever you take a picture, allowing you to catch a glimpse of the background while the photo was being taken. But until a day or two ago, these Motion Photos would remain in your Google Drive library, even if you'd already deleted them through Photos. 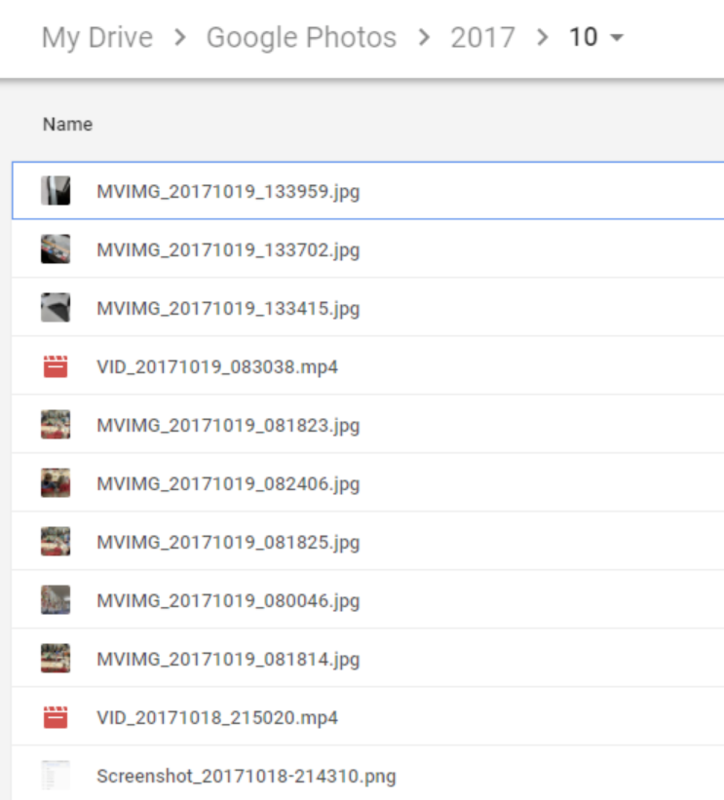 This bug was actually filed to Google by big boss Artem himself on October 24th when he noticed that Motion Photos (files starting with MVIMG) were staying in Drive even after he'd deleted them through Google Photos. 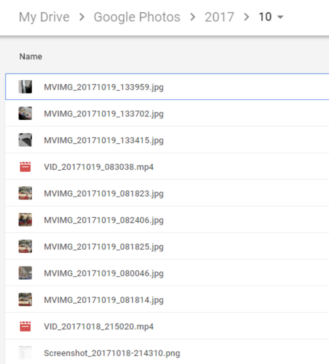 In the screenshot above, the MVIMG files were supposed to have been deleted from Photos, yet they're still present in Drive's Google Photos folder. These are visible on both the web and the PC client. On October 30th, Google informed Artem that the bug had been fixed, and that Motion Photos deleted from Photos would also be removed from Drive. However, those of you Pixel 2 and Pixel 2 XL owners affected by this will still have to manually go back and delete the MVING files prior to this bug's fixing, which might be kind of a pain depending on how many photos you've taken. But hey, at least it's fixed now.